Here is the last winter report. This week we updated the roadmap and defined the aims and tasks for next months. Team is committed to the plan. We take care about our customers trying to provide them with the best and safe service. 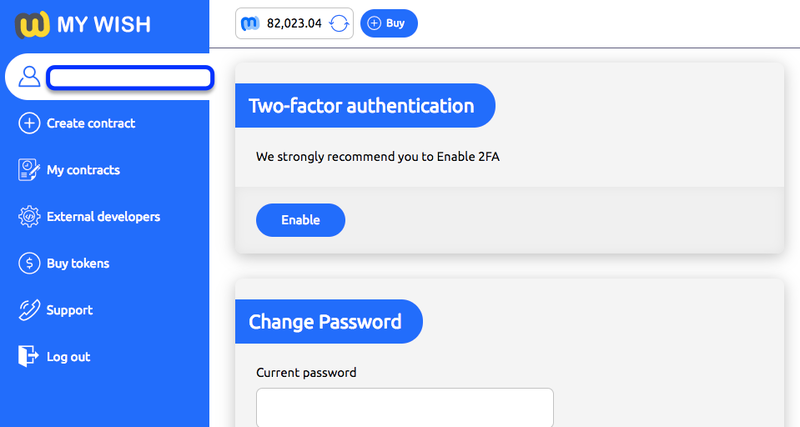 For this we released 2FA in order to improve safety of user’s balance on MyWish. As a result, now our platform like the actions of our clients there has a higher security. 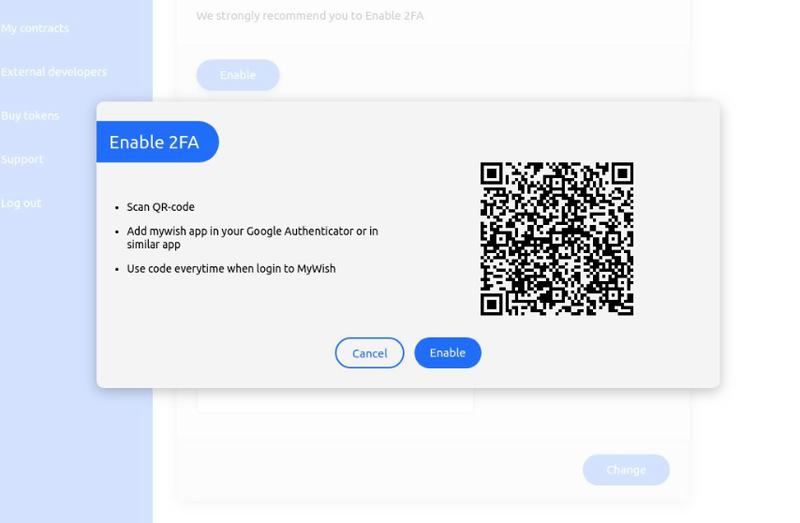 We strongly recommend all users to enable 2FA (click on your profile and choose Enable 2FA). 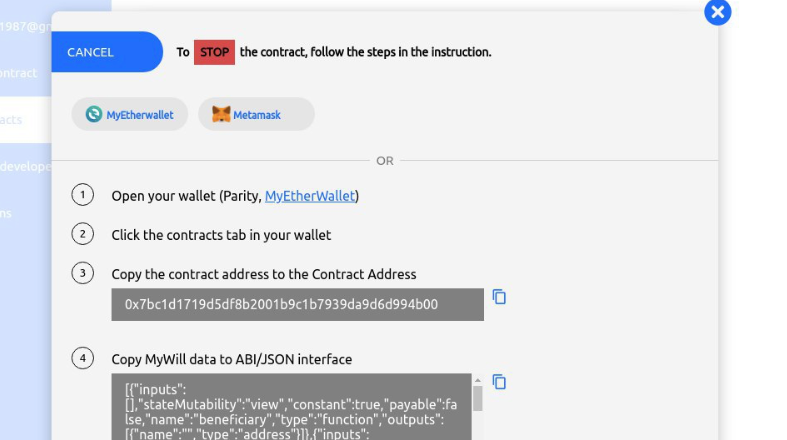 Also we have added support of MetaMask & Parity for your contracts management. Manage your contracts by 1-Click. WandX — we have waited for the listing there — now WISH is transferable on WandX. Agrello — we have received API from them, and now we test the possibilities of integration with Agrello. Coss.io — 3 days left before the announcement of the winners of promotion campaign (40.000 WISH). We got the first results from advertising campaign of Crowdsale contract. For the test period we have come to recognise the fact that now Google AdWords is the most effective channel for advertising among tested ones. MyWish plans to participate in SXSW, March 12. It’s the biggest blockchain Summit, where there will be industry leaders, blockchain enthusiasts, and members of mainstream media. We focus on strengthening the community management and plan to hire extra admin. 4714 users (+11% since last update).